How is using a hands-free phone likely to affect your driving? How is using a hands-free phone likely to affect your driving? Alertness is about being aware of what is happening around you on the road. It means knowing where other road users are and what they are most likely to do, what hazards you are coming up to and where the road goes ahead. It means not being distracted by things you don’t need to be distracted by, such as an accident on the other side of the motorway, and also driving for safety not image. It also relies on having proficiency with your vehicle – knowing where all the controls are so that you don’t have to spend any extra brainpower on figuring out which side the indicators are. Young and inexperienced drivers and riders are far more likely to be involved in incidents than those with more experience. Reasons for this include natural exuberance, showing off, competitive behaviour and over confidence. Don’t overestimate your abilities and never drive or ride too fast for the conditions. New drivers and riders are often involved in a collision or incident early in their driving career. Due to a lack of experience they may not react to hazards as quickly as more experienced road users. Approved training courses are offered by driver and rider training schools. The Pass Plus scheme has been created by DVSA for new drivers who would like to improve their basic skills and safely widen their driving experience. If you are getting in (or on) an unfamiliar vehicle, spend a couple of minutes setting the mirrors correctly (they must be clean and properly adjusted so that you can see behind you), working out where the switches are, connecting your phone via Bluetooth (if available), and setting your seating position for height, back support and distance from the steering wheel. Make sure that the head rest (head restraint) is properly adjusted as this will protect you from whiplash if another vehicle runs into your from behind. Getting the vehicle set up right for you will help reduce fatigue. Your mirrors are slightly convex so that you can see a wider angle of traffic in them. They should be set so that you can only just see your vehicle in them – this gives you the best view of the road. Your rear-view mirror should be set so that you can see the whole of your rear window. If there are vehicles behind you that are dazzling you and your car doesn’t have photochromic mirrors, you should be able to easily set the mirror to anti-dazzle. If you are driving a long vehicle or heavy vehicle make sure they are adjusted so that you have the best possible view down each side. Use road markings to help you see where the road goes and what you are allowed to do. An arrow such as this one indicates that you must move back left if you are overtaking. It will be because there is a hazard up ahead such as a junction or blind bend. An arrow like this indicates that you need to keep left of the hatched markings. 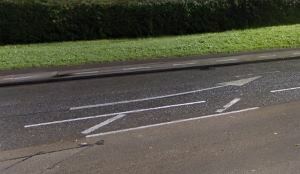 These road markings are painted to make you aware of your speed as you approach the roundabout. Other markings such as the central line, the edge line and road studs (cat’s eyes) show you the direction of the road. Road signs will give you clues about what is ahead such as a roundabout, sharp bend, dip, crossroads, etc. Learner motorcyclists often misinterpret how fast they can take corners, leading them to have to brake mid-corner which is dangerous. Look 10-12 seconds ahead up the road so that you can see what signs are coming. As you approach traffic lights watch for the phases. If the lights have been on green for a long time as you approach them it’s likely that they will turn red before you get there, so you should be ready to stop. Conversely, if they have been red for a while you can adjust your speed so that you are already carrying a little speed as you come up to the lights and they change to green. Don’t get caught out, though: you should always be able to stop. In a car or truck the thing most likely to interfere with your view up the road are your windscreen pillars (called the A pillars), and other vehicles parked on the side of the road. Windscreen pillars are most likely to obscure cyclists, motorcyclists and pedestrians as they are smaller and more difficult to see. Always look twice. Windscreen pillars can also obstruct your view when travelling around some bends, and restrict your ability to judge the position of your vehicle in relation to traffic islands. If your visibility is compromised you should always check for yourself rather than rely on the word of a passenger or pillion passenger. This sign gives you a warning, and there are already other clues just from the road – i.e. there’s no footpath, therefore cyclists and pedestrians could be walking on the road. The brow of the hill prevents you seeing oncoming traffic so you must be cautious. The bridge is narrow and there may not be enough room for you to pass an oncoming vehicle at this point. Also, it’s winter, so is it icy where the trees are casting a shadow? Motorcyclists should be particularly careful there. Before moving off you should use all the mirrors to check if the road is clear. Look round to check the blind spots and give a signal if it is necessary to warn other road users of your intentions. If you want to make a u-turn, make sure that you are allowed to and that there are no ‘no u-turn’ signs. Slow down and ensure that the road is clear in both directions. 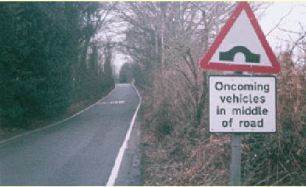 Make sure that the road is wide enough to carry out the manoeuvre safely. If the road is too narrow for you to make the turn in one, you will use a three-point turn, but bear in mind that this will take you extra time because you will need to make a reversing manoeuvre. If you are on a busy road, turn into a side road and then do a u-turn. Only overtake if you have to, can do so without breaking the speed limit, and never overtake where you can’t see at least 100m ahead of you for the entire duration of the overtaking manoeuvre, i.e. you need to be able to see 100m ahead of you when you finish, not just when you start. Hazards to avoid overtaking near are dips, crests and blind brows, humpback bridges, on the entrance to tunnels where your eyes haven’t adjusted to the darkness, and before corners where you can’t see through the corner. If you are driving an automatic car you can use the ‘kickdown’ function to make the car change down to a lower gear and thus give you better acceleration. This is done by pushing the accelerator all the way to the floor. You will often feel like there is a switch at the bottom of the pedal travel, and that will activate the kickdown. If you are overtaking a lorry and you see the driver flash the headlights, move back to the left when it’s safe to do so. Don’t presume what flashing the lights means – take it as a warning that you shouldn’t be overtaking for some reason, for example the lorry driver might be able to seen an obstacle further ahead that you can’t see because of their higher position. Stay well back when overtaking a long vehicle until you can see that the road ahead is clear. When overtaking, wait until you can see the vehicle you are overtaking in your nearside mirror before pulling back to the left. While overtaking you’ll need to judge carefully when to pull back into the nearside lane. Don’t cut in too soon on the vehicle you’ve overtaken – leave a safety margin. Check your left-hand (nearside) mirror to make sure the rear of your vehicle is well clear. You should allow for the length of both vehicles and take into account the speed difference. Don’t rely on signals from other drivers. They may be signalling to someone else. Be careful overtaking cyclists, motorcyclists and scooter riders, especially if you have a large vehicle, as your slipstream could buffet them. Give them lots of room and pass wide in case they swerve. Cyclists might stay on the left even if they are turning right at a junction or roundabout. Don’t attempt to overtake a cyclist just before you turn left. 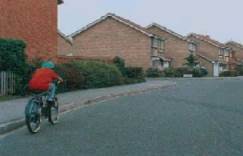 Overtaking uphill could take you longer to achieve as you won’t be able to accelerate as quickly. If you try to overtake another vehicle and you realise that you’re unable to complete the manoeuvre, ease off the accelerator and drop back behind the vehicle. If the vehicle you’re trying to overtake is large then it will take longer to pass. You should assess whether you have the time and the power to complete the manoeuvre before you try to overtake. If possible, build up speed before you reach the vehicle and then you already have a speed differential to help you pass. If someone is overtaking you remember to turn off your full beam headlights when they get parallel with you. Before you brake, use your mirrors to determine if your braking will affect other road users. If you are turning right onto a dual carriageway make sure the central reservation has enough room for you to stop and wait without your vehicle obstructing traffic flow. If there is no central reservation or if it’s too small, treat the road as one road. If you can’t see when you are reversing your vehicle, get out and walk around it to check for obstacles first, then get someone to help you with directions. You are allowed to remove your seatbelt for reversing if by not doing so you would not be able to see properly or you would have difficulty controlling your vehicle. You must wear your seatbelt at any other time unless you have a medical exemption. Children are at the greatest risk of being hit by a vehicle while it’s reversing, especially large SUVs and vehicles with large blind spots that don’t have a reversing camera or sensors. You must not reverse your vehicle from a side road out into a main road at any time. If you reverse your vehicle into a side road the greatest hazard to passing traffic occurs when the front of your vehicle swings out. If a pedestrian is crossing behind you as you reverse, give way to them. You must not reverse for any further than necessary. Read more reversing guidelines here. A blind spot or blind area is an area that can’t be seen by a driver in their mirrors. They will have to turn their head and possibly move their body to see all places. Drivers of lorries and other large vehicles have more and bigger blind spots than drivers of cars. Motorbike riders have a blind spot caused by their helmet and therefore need to turn their head to make a ‘lifesaver’ glance (also called a ‘shoulder check’) when they change lanes. Objects hanging from your rear view mirror can restrict your view and distracts you. Before you change lanes, overtake, move off from the kerb or stop, check in your mirrors and blind spots and over your shoulder. On some motorcycles your shoulders might obstruct the view in the rear view mirrors. Adjust the mirror arms until you can see clearly back up the road and as far to the side as possible. A mirror on each side of your bike will help reduce blind spots. Trucks with sleeper cabs and buses and coaches with high-mounted driver’s seats have more blind spots. Extra skills are needed for driving at night because you will experience headlight dazzle and tiredness. It is more difficult to see the road (especially hidden dips) and more difficult to judge the distance and speed of approaching vehicles, especially when there is spray from a wet road. If you can’t see where you are going because of spray, slow down. Other drivers can be affected by the spray created by your vehicle, especially if it’s a large vehicle, causing them to be temporarily blinded. Always take care when you need to change lanes, give a signal in good time and watch your mirrors carefully before pulling out in these conditions. You can use spray reducers on large vehicles to reduce the amount of spray thrown up. To help you get through the night, eat a proper meal at the beginning of your journey, then again in your break period. This is better than snacking during driving. Make sure your lights are clean so that you can see as much of the road as possible and other road users can see you and your direction of travel. If you are intending to drive abroad on the right-hand side you will need headlight deflectors because our headlights in the UK are angled towards the left so they don’t dazzle motorists here. On the continent this will mean they are angled towards oncoming traffic. Longer journeys, especially those with boring scenery and driving conditions such as motorways, can cause you to feel tired quickly. Eventually you will fall asleep and you will have no control over it. Plan rest stops into your journey to help prevent sleepiness. If you feel sleepy, ensure you’re getting fresh air into the vehicle then pull off at the next off ramp or service station and have a 10-minute sleep. Wait another 10-15 minutes after you’ve woken up before setting off again. Even if you are driving a heavy vehicle and your tachograph says you have spare time and have not yet exceeded your driving hours, you should still pull over and take a break. It’s estimated that 40% of sleep-related vehicle incidents (SRVIs) are work-related. Falling asleep at the wheel means you’re unlikely to use your brakes before impact and you can drive either off the road into something immovable, or into oncoming traffic. You are most at risk of falling asleep during hours that you would usually be asleep – from around midnight to 7am. Men are more likely than women to be involved in an SRVI, especially those aged 30 and under. If you are very tired and/or you are not feeling well (e.g. you have a headache or stomach ache or feel sick) you should wait until you are fit and well before driving. Pain is distracting. A motorcyclist can only use a mobile phone when parked in a safe place. It’s illegal to use a hand-held phone while driving. To answer a call safely you should pull over. Using a hands-free system will still distract you. It’s a good idea to plan an alternative route in case your original route is blocked for any reason. You’re less likely to feel worried and stressed if you’ve got an alternative in mind. 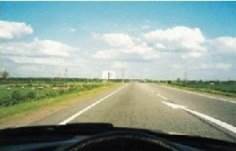 This will enable you to concentrate fully on your driving or riding. Always carry a map that covers the area you will travel in. There is more information on navigation and route planning here. If possible, avoid the early morning and, late afternoon and early evening ‘rush hour’. Doing this should allow you to travel in a more relaxed frame of mind, concentrate solely on what you’re doing and arrive at your destination feeling less stressed. 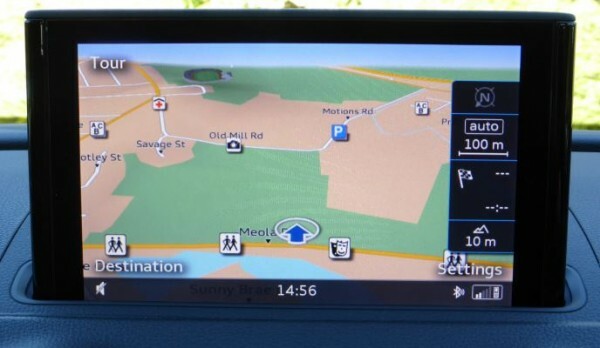 Satnav systems should be programmed with your destination before you start moving. They will recalculate your route if you have to deviate. If you need to change the destination, stop and reprogram it. Don’t do it on the move as it takes your eyes off the road. For other tips on navigation check out this article. Having the right temperature when you drive will improve your driving performance. If you are too hot you can get dehydrated through sweating, which will impair your thinking. If you are on a motorbike and you get too cold through the wind chill then you can get hypothermia. Riding into the wind at 70mph can lower the perceived temperature several degrees, so make sure you are wearing enough clothing and clothing of the right kind. Protective clothing will prevent you from getting wet – being cold and wet will slow your reaction times and make you lose concentration. A reflective outer layer such as a jacket will help you be seen at night; during the day wear brighter coloured clothing and when you are choosing a helmet, choosing a bright coloured helmet will make you more visible. Safety clothing will help protect you if you come off your bike – study boots with shin protection, a jacket with back protector, gloves and tear-resistant trousers. When driving a car wear comfortable clothing and shoes that help you keep your feet in the proper place on the pedals. Maintaining the best control of your vehicle is helped when you are healthy. If you mistreat your body you reduce its ability to react to situations, and you reduce your resilience in the event of an accident. Long term poor eating habits can increase your risk of obesity, diabetes and heart disease. Dehydration reduces your ability to think and react. If you have issue with your eyesight and an optician says that they cannot help you, you must inform the licencing authority as your driving might be dangerous for other road users. DVSA will be able to advise you further. If you have to wear glasses for driving and you cannot find them, you must find another way home. While driving you should base your meals around slowly digested calories. Complex carbohydrates (whole grains) and vegetables will keep your brain working. If you eat foods with high sugar content you will send your pancreas into overdrive, which will give you a quick energy spike, but you will feel tired and hungry quicker. If you suffer from ill health that affects your driving you must inform the licencing authority. They won’t automatically take away your licence without investigation, though. Some medication will adversely affect your driving. It can make you drowsy or reduce your coordination. If you are unsure about a medication you are taking, ask your doctor and check on the medication label. You must be medically fit to drive, by law. Turn your lights on at dusk, even if street lamps are not lit. If you are motorbike, then you’ll have your lights on during the day, too. If your motorbike doesn’t have daytime running lights you must use your dipped headlight when visibility is poor. If it’s raining it can often be best to turn your lights on. If it’s foggy (i.e. visibility is less than half a mile or so), then you should have your light on, and if it’s thick fog you should put your rear fog light on which is brighter than your rear lights. Remember to turn it off afterwards otherwise you will dazzle other drivers. Motorcyclists are only allowed to use their high-intensity rear fog lights when visibility is less than 100m. If you are driving or riding at night and you are dazzled by the lights of another vehicle that are on main (full) beam, don’t shine your lights at full beam because that then makes two of you driving blind. Slow down and look at the left of the road. If you are driving with your main beam headlights on and another vehicle overtakes you remember to dip your headlights or you will dazzle them in their rear-view mirror. Use your vehicle’s position to be as visible as possible to other vehicles. If you’re following a large vehicle but are so close to it that you can’t see the exterior mirrors, the driver can’t see you. Keeping well back will also allow you to see the road ahead by looking past either side of the large vehicle. If another vehicle pulls in front of you, drop back to maintain a safe following distance. If a large vehicle is following you too closely, increase your following distance to the car in front by more. Learner drivers can be nervous when they first start driving. Be patient, give them room and be prepared for them to make a mistake. Test your Highway Code knowledge on alertness by taking the free quiz here.